Rent The Ivory Room by Cameron Mitchell | Corporate Events | Wedding Locations, Event Spaces and Party Venues. The Ivory Room by Cameron Mitchell Catering is an urban space with spectacular views of the city and the Scioto and Olentangy Rivers. The oversized room with soaring window walls may be customized for a variety of creatively styled events, including wedding receptions, corporate meetings, and more! Think of the team at the Ivory Room as a co-host for your event. We care about making the right impression and creating the event you’ve envisioned. Whether it's a business meeting or a social gathering; food, service and attention to detail make all the difference in how guests respond to an event. While the centerpiece of our catering is our exciting and innovative food, our services extend to every aspect of the event. We're happy to fulfill every request. We can provide music, flowers, limousines, valet parking and any other services required to make the event memorable and accommodating for your guests. Our years of experience have allowed us to build great relationships with the best vendors in the industry. At The Ivory Room, our customizable, chef-driven food and fresh cocktail menus range from classic and sophisticated to trendy and innovative. We can create the perfect menu for a casual gathering, a stylish wedding, an elegant gala and anything you can imagine in between. All of our cocktails are made-to-order with always-fresh ingredients and juices. Your event will always receive a Cameron Mitchell level of service - from a beautiful bar that blends seamlessly into your decor, to a unique, chef-driven cocktail selection. We can even create a custom handcrafted cocktail or set up a martini station for your event. 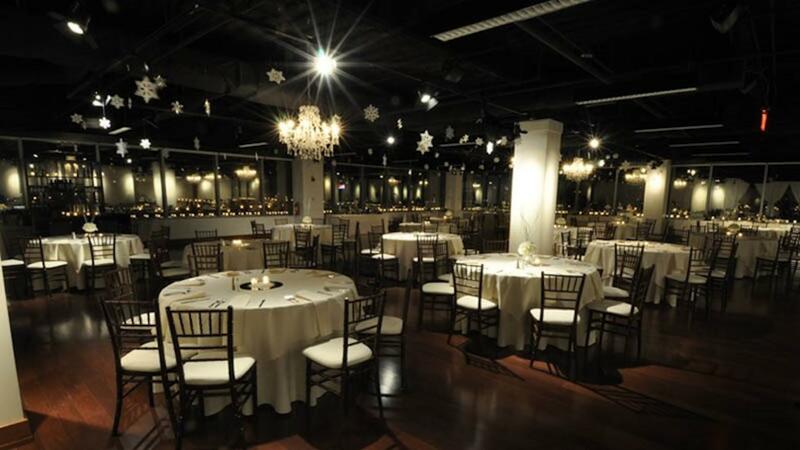 The Ivory Room is the newest, most chic wedding venue in Columbus. It’s modern, neutral backdrop is the blank slate upon which we will create your vision. The open floor plan allows for your imagination to run wild. The dance floor, band, deejay, bar and furniture can be exactly where you choose. There are no rules. Our primary goal is to make your vision come to life. Let us help you organize anything and everything that needs to be done. We will work with you to handle every detail, including crafting the perfect menu – created with Cameron Mitchell quality, attention to detail, freshness, talent and flavor. The Ivory Room is conveniently located in the Miranova Building in Downtown Columbus, and is the perfect venue for corporate events. In addition to a stunning view of Columbus, outstanding Cameron Mitchell food and service, The Ivory Room can provide privacy and amenities including a green room, coat check, restrooms and window shades for secure, private building also offers valet parking as well as an attached garage. We’ll handle all the details. Let us do the work – so you can get back to business. The Ivory Room is designed to be the perfect fit for any event – and you’ll have the most experienced catering and events team in Columbus at your disposal. When the occasion is a celebration, Cameron Mitchell Premier Events wants you to receive all the accolades, but still be able to enjoy your event. We can be there every step of the way to oversee and orchestrate the event so you can join in the festivities and concentrate only on having a fabulous time.